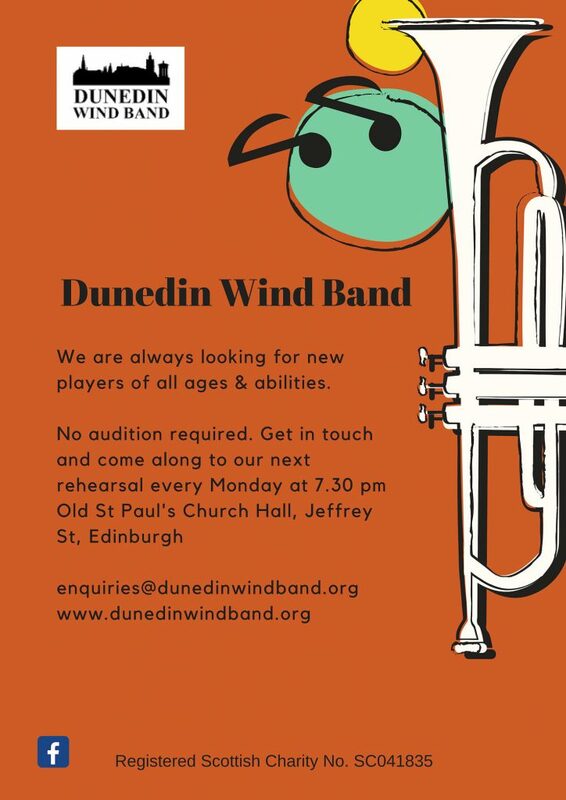 Dunedin Wind Band was formed from an idea in May 2006 between 11 players, with the idea of creating a relaxed, fun, friendly band for wind players of all ages and abilities. The band has grown to approximately 50 playing members but our ethos has remained the same. We play several concerts and festivals every year, in addition to our popular ‘Play away’ rehearsal days. As a registered charity, we also support other charities with fundraising concerts. The band rehearses weekly on Monday evenings – see our Rehearsals page for more information. If you are interested in joining us please get in touch. There are no auditions – all ages and abilities are welcome.